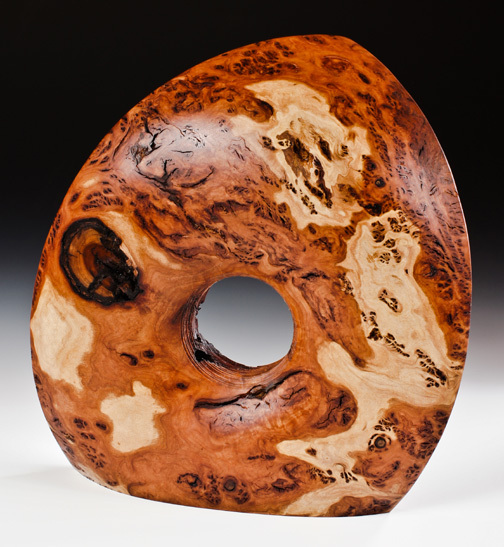 This is made from Mallee Burl, one of the hardest Australian timbers. It is so dense that if you place it in water it sinks like a stone. The wood is ugly and rough, but when it is cut and polished, like a diamond, the startling colors spring to life.